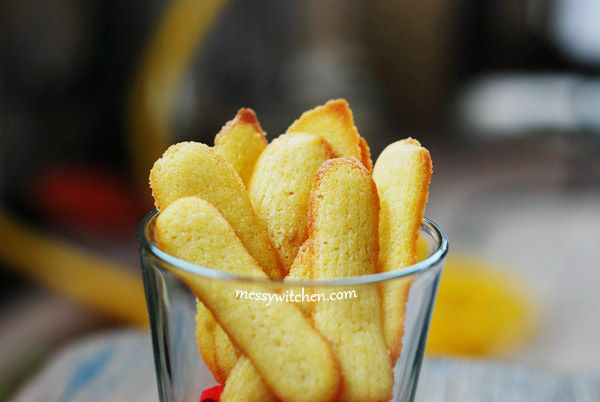 This biscuit is called cat’s tongue because its shape resemble a cat’s tongue, long and thin. 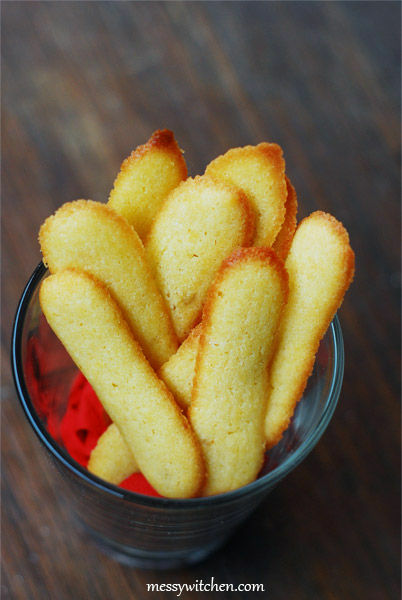 In French, it’s called langues-de-chat and this biscuit actually come from the Netherlands. 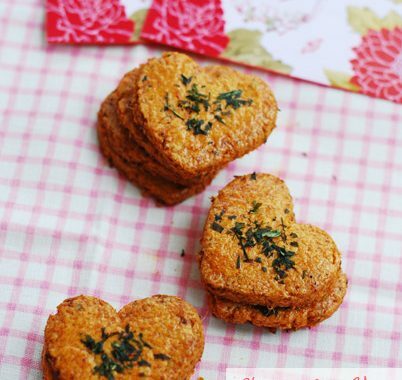 You can pair this biscuit with ice-cream or sorbet, creme brulee or with cream/jam sandwiched together. 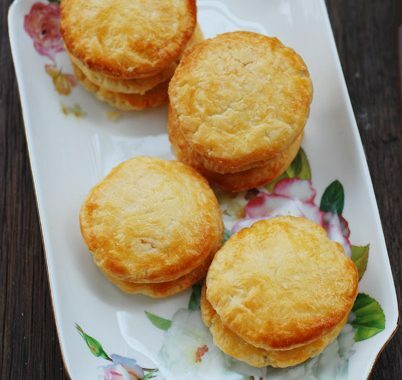 It uses the typical butter, sugar, flour and egg ingredients… so I bet you know how it’s taste like… like a butter biscuit. Since the ingredients are simple and minimal, I resorted to using a spatula to mix the ingredients. Pipe the biscuit in staggered rows, 6cm long line. I ate the cat’s tongue biscuit with ice-cream and on its own. It’s not very sweet. Just nice. 1. 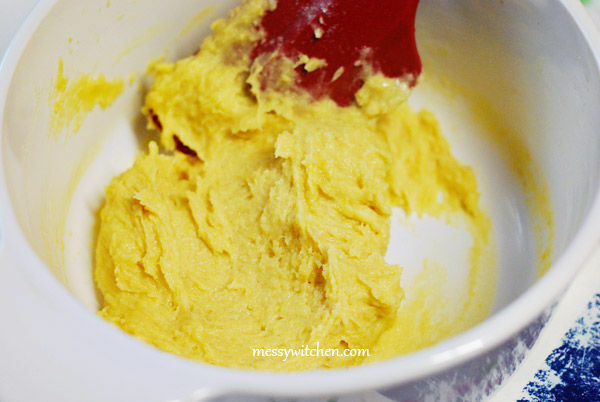 In a mixing bowl, mix the soft butter and sugar. Then add flour, egg and vanilla extract. Mix well. 2. Fill a piping bag fitted with a small nozzle (or use a teaspoon). 3. 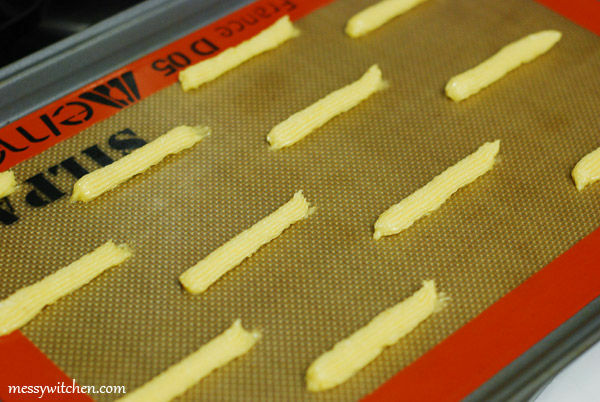 On baking tray lined with baking paper or silicon mat, pipe the cat’s tongue biscuits in 6cm long lines, in staggered rows with 3cm gaps in between. 4. 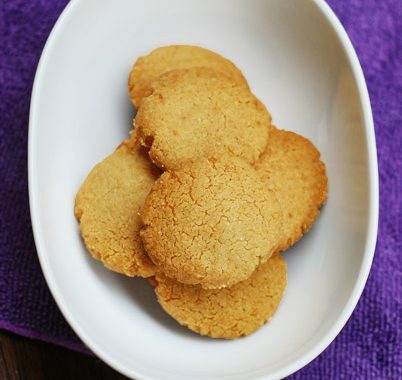 Bake at 200oC for 4 minutes and then turn the tray and bake for an extra minute or 2. Cool on the tray. Looks very delicious! Feel like trying it too!!!!!!!!! Hi Benny, go try it… it’s delicious. Very easy too. Hi Dawn, oh yes no need mixer. Can just nibble them too.